Jackola shared Girls Rock! Indianapolis’s event. 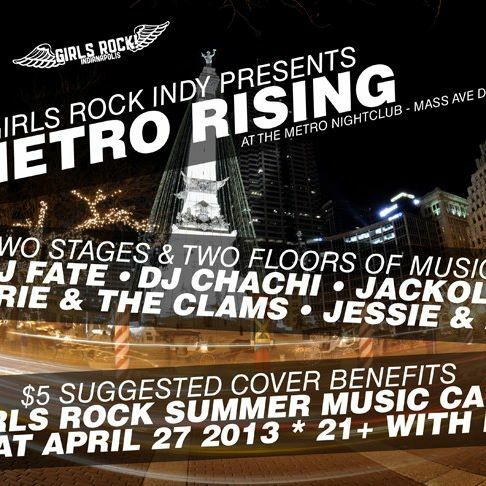 Hey everyone, the next GRI-sponsored Fundraiser is METRO RISING on April 27th at The Metro Nightclub! A $5 suggested donation gets you TWO STAGES of music! Live performances downstairs by bands Carrie & The Clams and Jessie & Amy! Upstairs you can dance the night away to DJ Fate, DJ Chachi and Jackola! The fun starts at 9pm, and even though the entry is limited to 21+ with valid ID, fun will also be mandatory! Prizes by raffle all night long! Great bands! Awesome DJs! All proceeds benefit Girls Rock Indy Summer Music Camp for Girls! Jackola shared Midwest Street Art’s event. 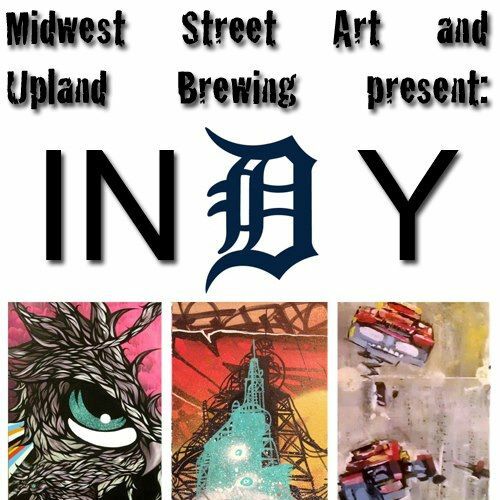 Midwest Street Art and Upland Brewing Presents some of hottest artists out of Detroit and Indianapolis to showcase their work together at Upland’s Propaganda Room in the Murphy Arts Center (RM202) in Fountain Square. This work has never before been seen together, and some of it has never been seen in the state. This is a truly unique pairing of artists and this event will be your best chance to obtain work that you won’t find anywhere else. Great artwork, great beer, great music provided by Jackola! Bring that piggy bank and live it up ya’ll!